Whether your upholstery is made of cotton, silk, suede, ultra-suede or velvet, our team of trained upholstery cleaners and technicians have the expertise, tools and experience to handle these fabrics with love and care. As a first step, the team will carefully inspect the fabric and construction of each piece and identify the problem areas, before selecting the best and most suitable cleaning method and a specially formulated cleaning solution, for the best result. In the event that the right cleaning method is not employed, this can result in fabric shrinkage, which would compromise the beauty of your upholstery. 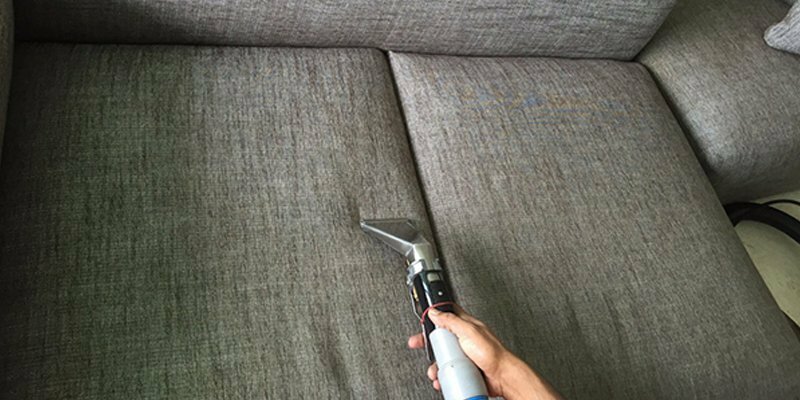 With our specialised and customised treatments, we can restore the original colour and beauty of your upholstery and remove deeply embedded dirt and grime. More importantly, if your upholstery is used on a daily basis, it is essential to ensure that it is cleaned and properly maintained. An antimicrobial upholstery treatment can also result in improved resistance to dry soil, water-based stains and daily wear and tear. Without proper cleaning, mould may start to develop and can cause rapid deterioration of the fabric and health problems, particularly for those who have asthma. The most common effects of mould are allergic reactions such as sneezing, runny nose, coughing, tearing and redness of the eyes, skin irritations or rashes. Hence, if these are common symptoms that you see amongst your employees or family members, it may be due to mould in your upholstery, or carpets and drapes. Regular professional cleaning of these fabrics will ensure that you work and live in a clean and healthy environment. 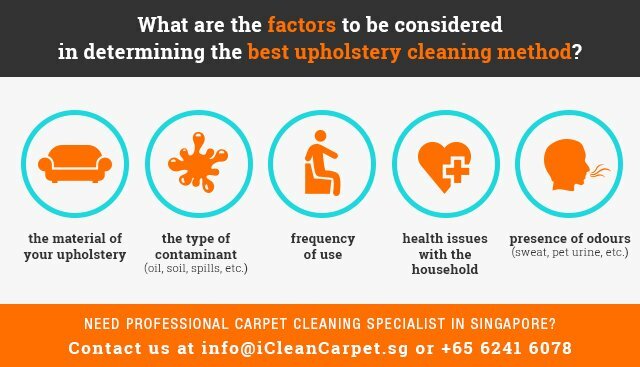 Contact iCleanCarpet for the best and affordable upholstery and sofa cleaning service in Singapore! service, call iCleanCarpet now at 6817 9633!